Entity types such as Corporations, Limited Partnerships, Limited Liability Partnerships and Limited Liability Companies that are operating in the state of Florida store their information in the database facilitated by the Secretary of State of Florida. Specifically, the office’s Corporations Division keeps and handles such database. 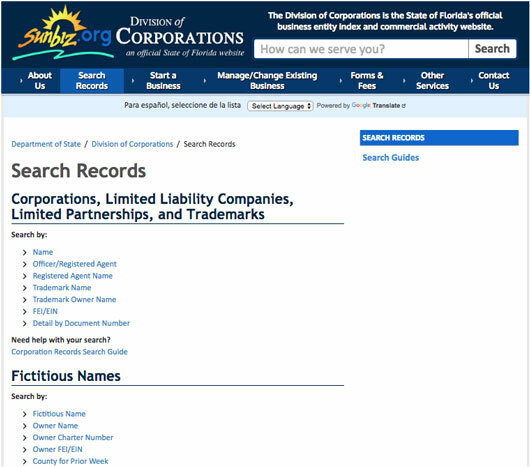 Users who wish to access the FL Sec of State business search tool of the Corporations Division should already know the Entity Name, Partnership Name, Trademark Name/trademark owner name or Registered Agent Name. If you are planning to make a Florida business entity search, make sure to read and follow this instruction: The Florida SOS business search page can be visited through this link. On the page, there is a field meant for entering the entity name. For this instance, our business name is “Arrow Air”. Enter it then click “Search Now”. A new page will load, showing the list of entities under the name of “Arrow Air”. Each result also comes with information such as Document Number and Status. Clicking the entity will allow you to know more information about it such as Filing Information, Registered Agent, Address Details and more. You can also save some of the information provided by the page. The rest of the page shows the Annual Reports of the entities. The official website of the Secretary of State does not only work as a public source of information about registered entities because it also allows businesses to file for registration or reports The forms can be downloaded and filled out online. Remember that Florida’ SSO website imposes fees on certain downloads even though most of their services and downloadable files cost nothing. 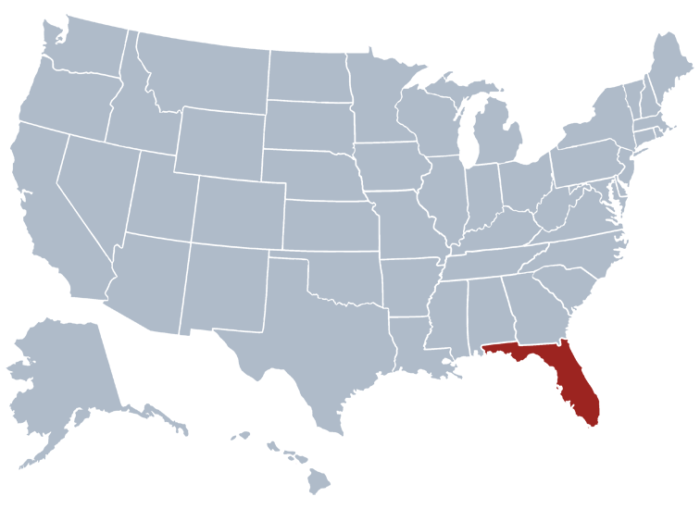 Several prime governmental duties of the state are handed down to the Secretary of State of Florida. Aside from being the custodian of the Great Seal of the State, the SOS of Florid is also the State Protocol Officer, the State Department chief, the Chief Cultural Officer and Elections Chief. The Secretary of State of Florida is the head of the Department of State, hence making him in charge of the operations of various areas of the government such as the Office of the Secretary, Division of Corporations, Division of Elections, Division of Administrative Services, Division of Cultural Affairs, Library and Information Services and Division of Historical Resources. It also facilitates the FL entity search tool for the public online.